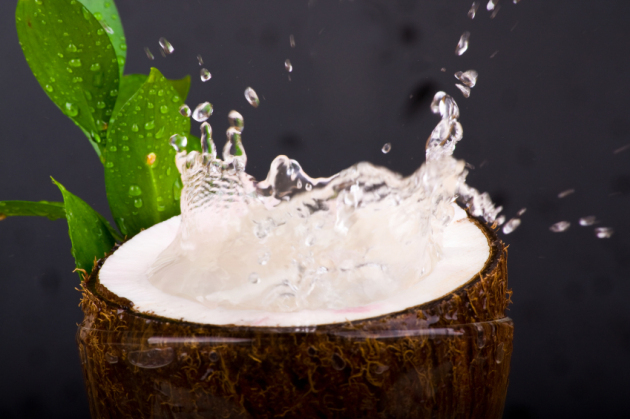 You’ve probably tried if not heard of coconut water over the last few years, as it has become hard to miss. This category is quickly showing up everywhere and has reached all major grocery chains already. So is this Natural Hydrator really worth all the craze? I say YES! Fist, it contains two minerals that help balance fluids in the body, sodium and potassium. 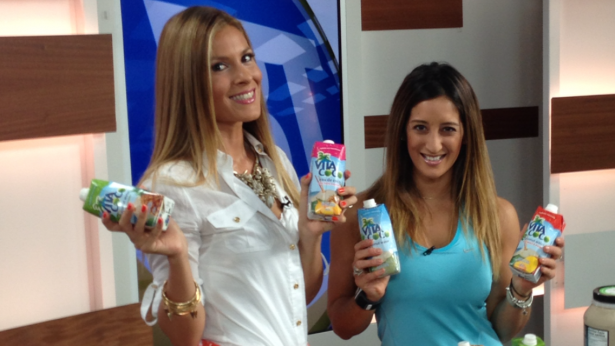 The “WOW” factor in the one I’ve been sipping on (VitaCoco), is it contains as much potassium as one banana. My first recommendations is to be sure not to consume coconut water as a replacement to water, consuming one to two coconut water drinks is not only A-OKAY it is YUMMY! It makes a great addition to water to help keep our bodies hydrated. Of course opt for the brands that align with my favorite “N” word Natural. Now when it comes to working out or keeping our kiddos away from sugary drinks, coconut water is a great option to replaces those drinks packing any un-natural ingredients and sugars. Yes, some of my favorite flavors of Vita Coco can include sugar BUT this is all Natural fruit sugar derived from fruits such as pears and apples. So it’s all-good! I had a great off the camera debate with Dina Pugliese from Breakfast television about my “approval” of sugar in my diet. The sugars from fruit, which are fructose, end up on our nutrition labels, as “sugar” yet these are not derived from the same sources as our regular and bad table sugars. It is important to note that there is indeed a difference. So, is it worth the hype? You decide. Clearly coconut water is on to something when in the US the category has already become so mainstream that it has surpassed the sales of grape juice. When it comes down to staying Hydrated, which by the way is important to everyone regardless of activity level, I give this gluten free and vegan-approved category a THUMBS UP to deserving all its hype. Now go ahead and give it a try, you monkeys!